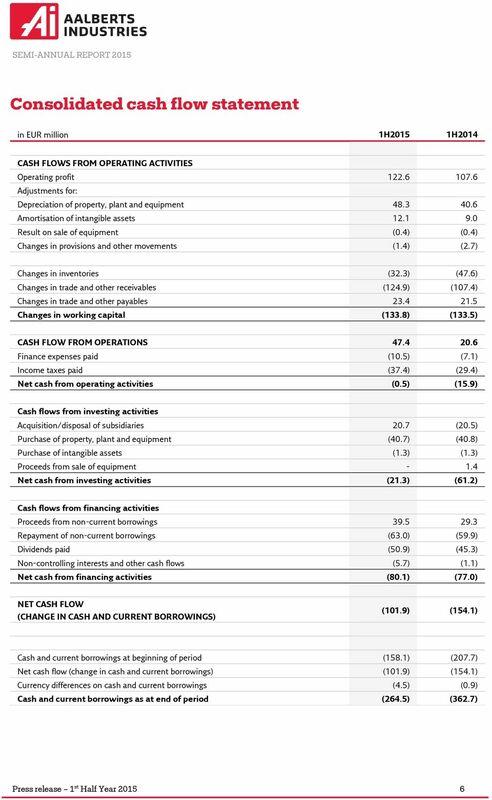 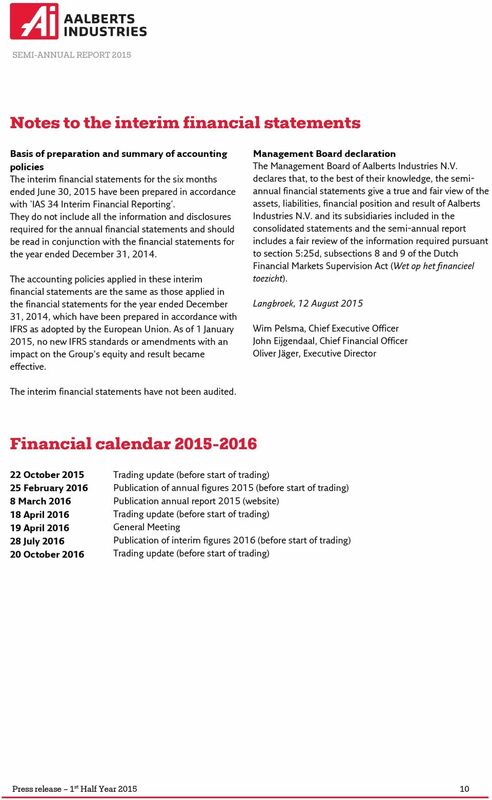 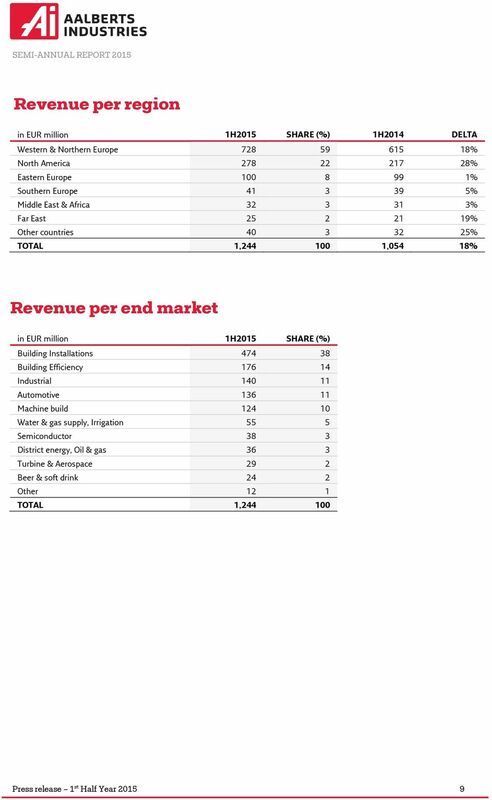 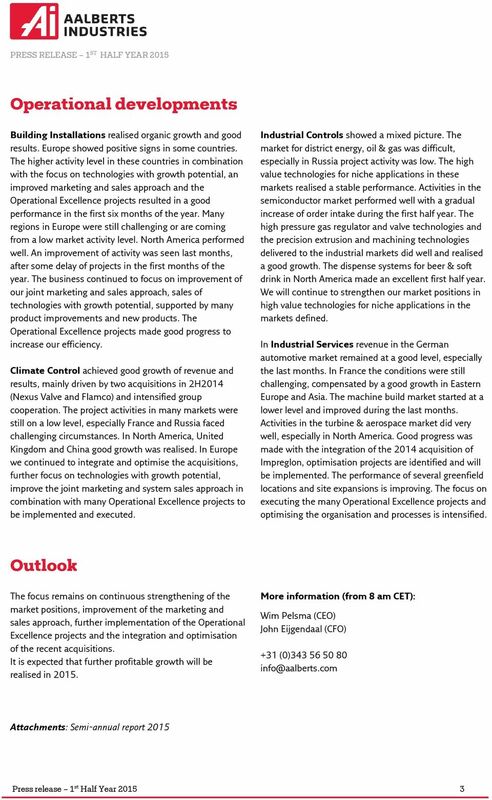 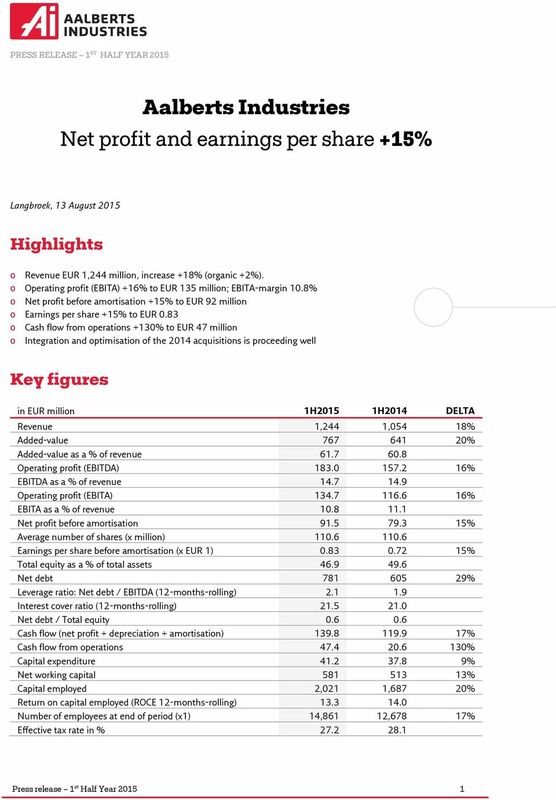 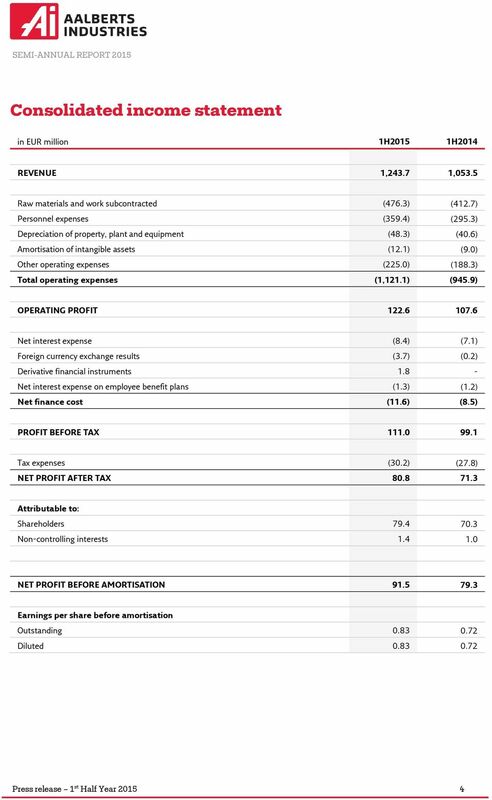 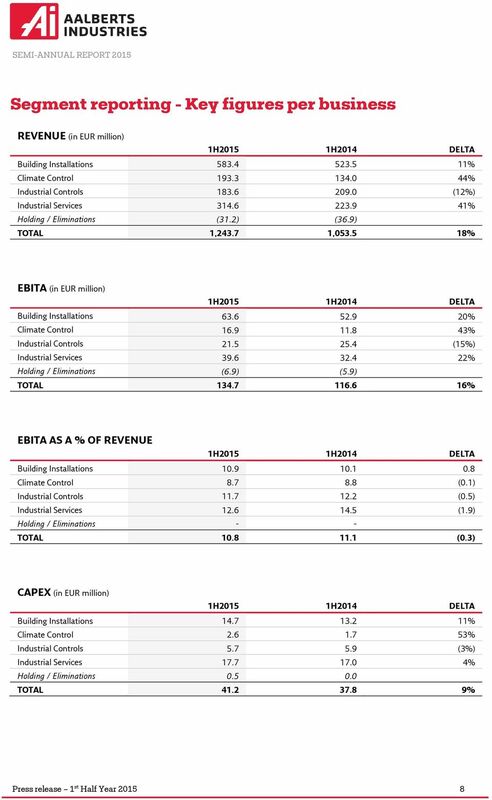 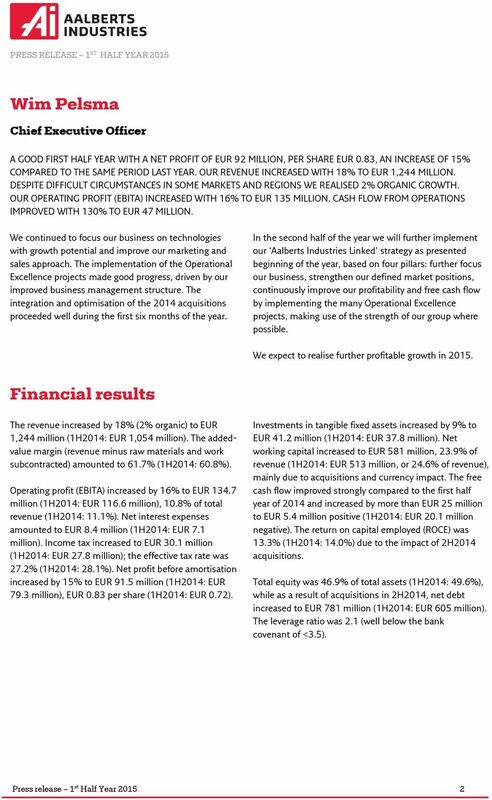 Download "Aalberts Industries Net profit and earnings per share +15%"
Page 1/10 21 May 2015 Report on the first quarter 2015 ROCKWOOL International A/S Today the Board of Directors of ROCKWOOL International A/S has approved the following report on the first quarter 2015. 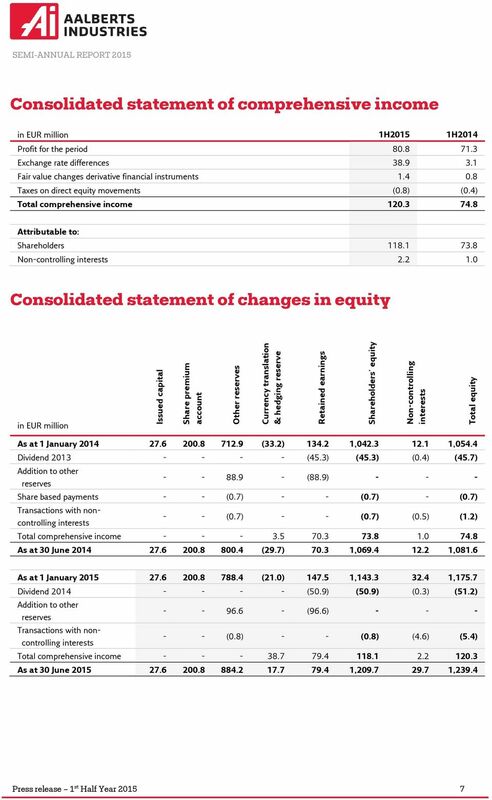 Net interest-bearing debt at 30 June 2015 was DKK 560 million (30 June 2014: DKK 595 million). 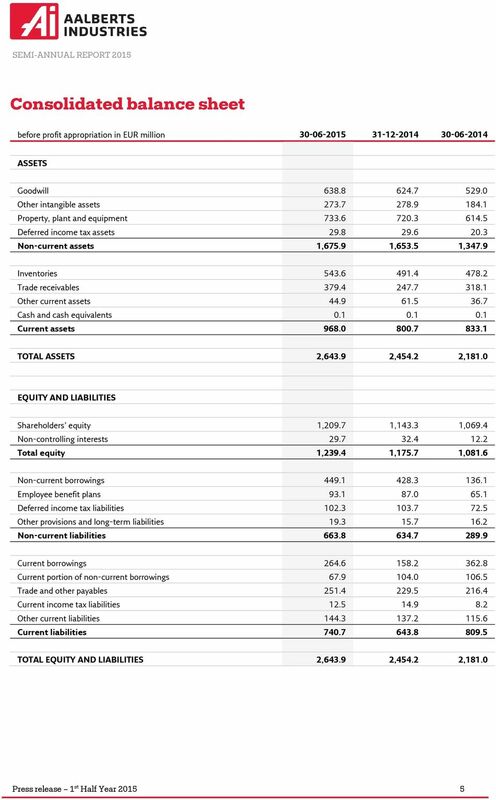 1 Contents Page Interim balance sheet 2 Interim income statement 4 Interim cash flow statement 5 Interim statement of changes in equity 6 Selected explanatory notes to the interim 7 financial statements.